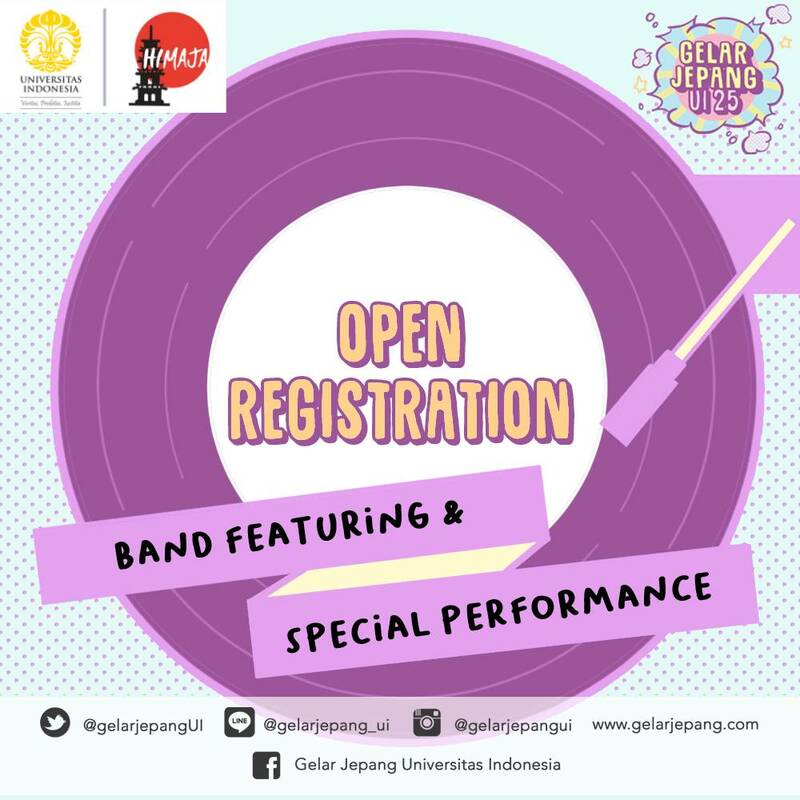 Gelar Jepang Universitas Indonesia 25 is opening registration for Band Featuring and Special Performances! 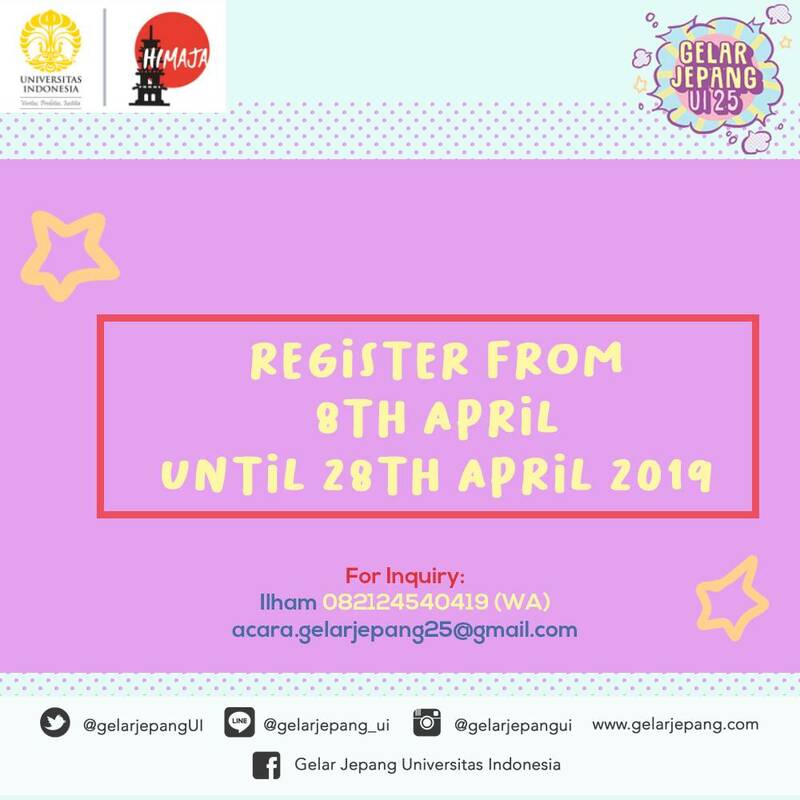 Registration is open until April 28th! 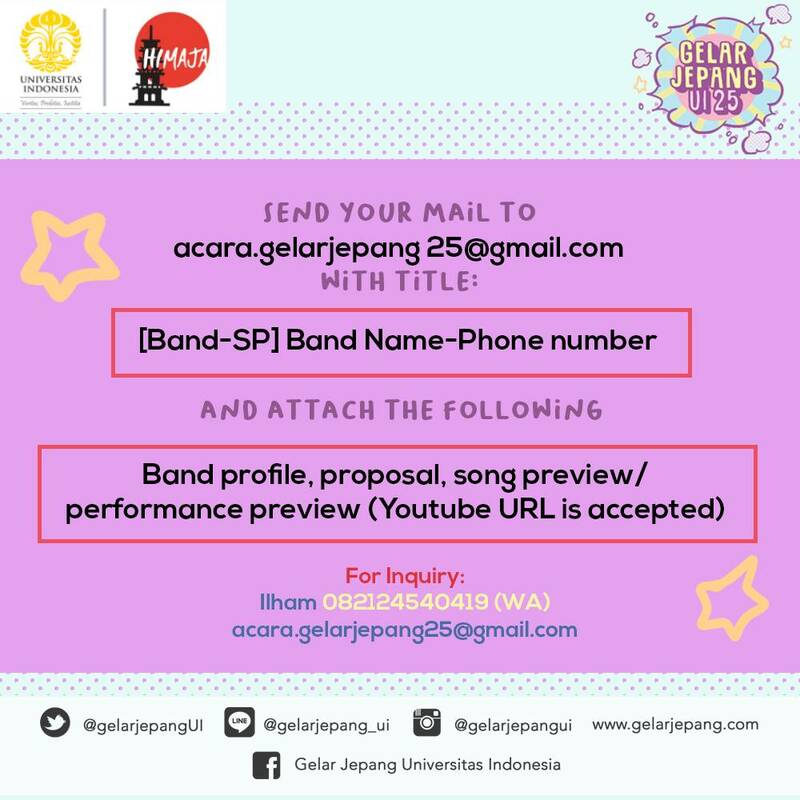 We're waiting for your participation in Gelar Jepang UI 25!